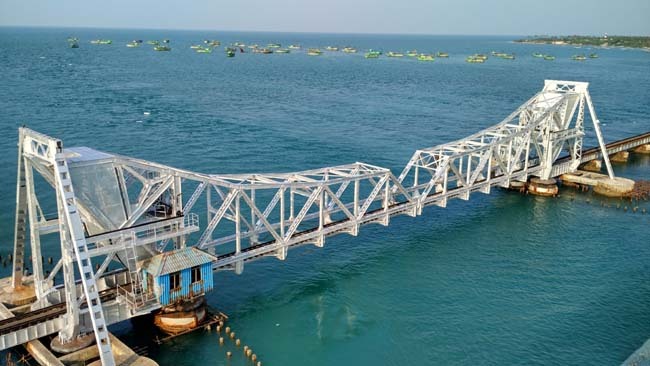 In its quest to modernize and upgrade the railway infrastructure, the Indian Railways has decided to deploy stainless steel for its visionary Pamban railway bridge project. Rail Vikas Nigam Limited (RV­­­­­­NL), Chennai, the extended engineering arm of Indian Railways, included SS 2205 duplex stainless steel grade as an integral component for the fabrication of 4 spans/girders of the new Pamban bridge. To kick start this project, RVNL has floated a tender for supply of 120 MT of stainless steel. With this, stainless steel has made its ground-breaking debut as a key material for the structural railway bridge framework.